What once seemed like something out of science fiction is now a reality for a growing number of executives at small companies: running their entire business from their smartphone. In this blog post, we will look at the developments and mobile apps that make this option possible as well as some of the hurdles that still remain. Many executives of companies large and small like the freedom of being able to work effectively from anywhere at any time. Some also swear by the need to get out of the office to interact with employees and clients in order to best understand and improve their company’s operations. As with all remote workers, some executives find their creative inspiration calls more often at home or in some other more relaxed location other than in an office setting. In addition to the flexibility in their working location, mobile applications enable executives to manage their business 24/7/365. The processing power you hold in your hand dwarfs the capabilities of much larger devices only a short time ago and this trend will only continue upwards. Combine this power with the corresponding development of mobile apps comparable to desktop applications and the ability to store and process data using the cloud and you have a virtually unstoppable force to utilize for successfully running a business. With the continuing improvement of cloud-based applications, an executive can immediately access all the applications and resources they would normally have on a desktop from their mobile device. Cloud technology also enables executives to free up the memory on their mobile devices, while still having easy access to powerful applications for all aspects of their business. Even though many executives like the idea of being to work from anyplace and still have access to all the programs and applications needed to do their job, they often don’t want to share their working location with their clients or partners. Using the mobile apps offered by VOIP providers they can have access to all the functionality of their office phone and make outbound calls using their office phone number. Even with all these impressive smartphone applications and solutions, there still remain some challenges and issues presented by smartphone use that your company needs to consider. For example, if your company is currently using legacy applications, they may not be accessible via a smartphone. Also, a smartphone’s small screen and lack of a keyboard make document creation and review more difficult, especially with tasks like spreadsheet analysis and preparing PowerPoint presentations. As a result of these limitations, many executives use a tablet for creating and editing documents in conjunction with their smartphones. In addition, printing documents with smartphones is limited to wireless printers that support mobile apps. There are also challenges when it comes to multitasking, as when you are on a phone call and need to research something online. In addition to these constraints, there are also certain times when executives prefer meeting with their employees face-to-face to enhance creativity and collaboration. With all the capabilities of mobile technology there also can be an overwhelming feeling of never being away from work, which can negatively affect the morale and output of executives and employees alike. Importantly, companies must also be aware of data security issues and protect against the real threats of cyberattack on mobile devices used outside the office. 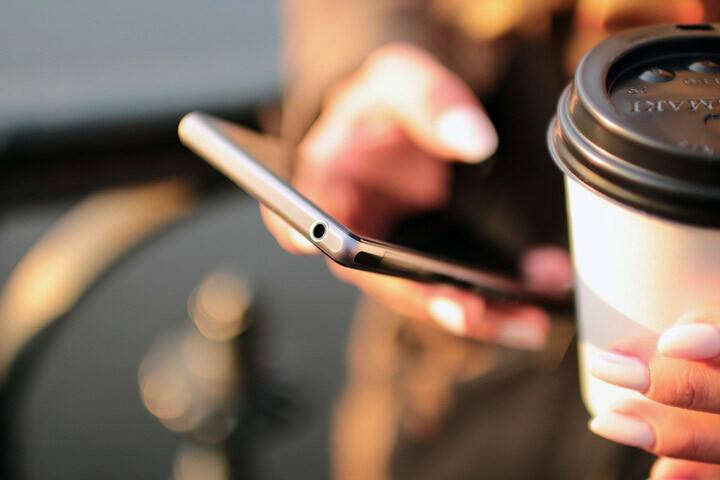 Cybersecurity is a significant concern for small businesses using mobile technology outside the office, whether the devices are privately owned or issued by the company. As demonstrated by this overview, executives can effectively run a company from a smartphone, although there are some issues to consider depending on your company’s unique operations and IT requirements. In the end, the question of how much of the day to day work and decision making your company’s executives will choose to do from their smartphone will largely be a matter of personal preference almost unaffected by technological restrictions. For assistance with understanding how to best utilize mobile technology in your business or any other IT issues, please contact us here at Network Depot.